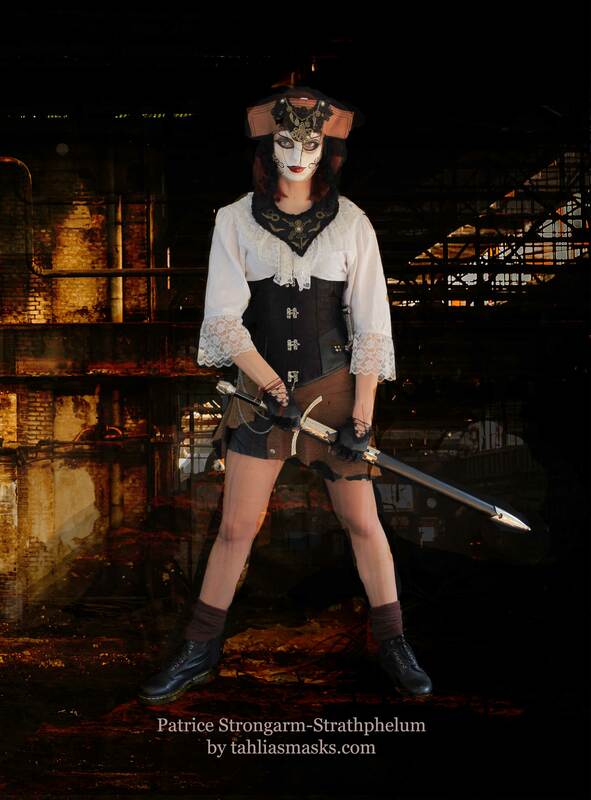 Meet Patrice Strongarm-Strathphelum: Pirate. 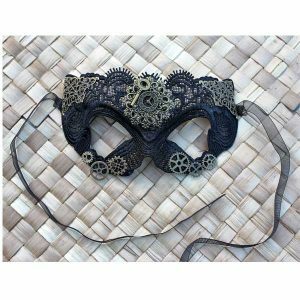 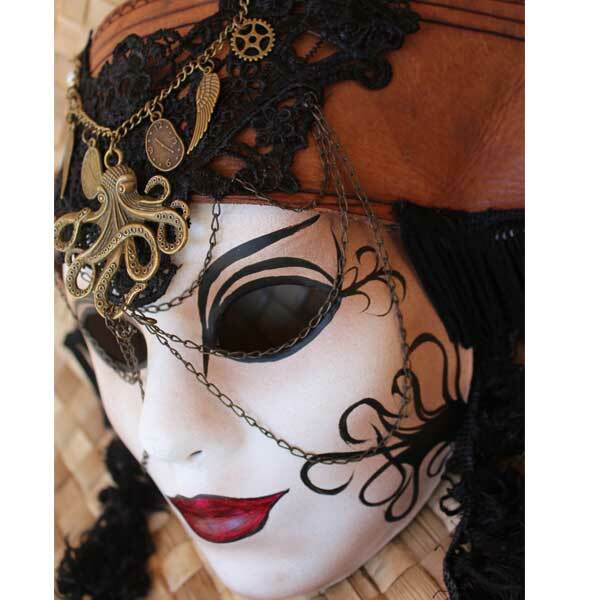 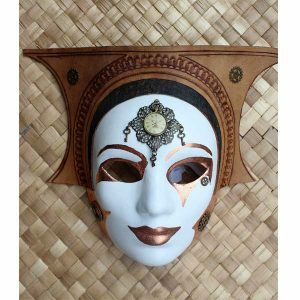 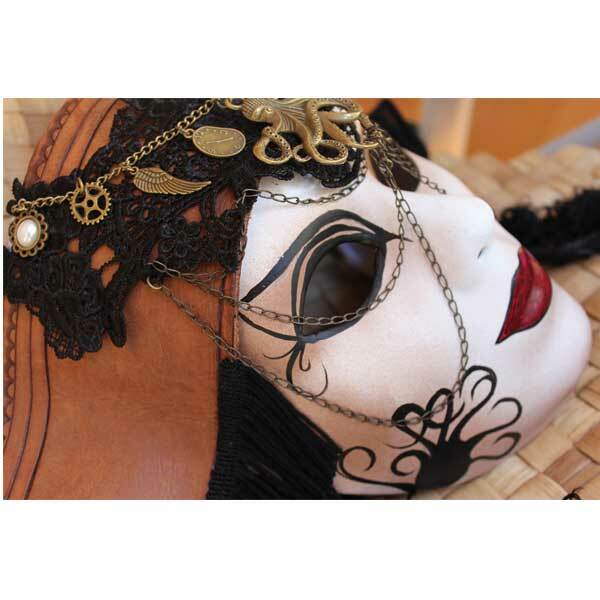 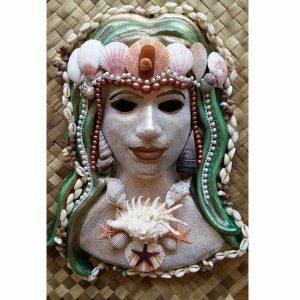 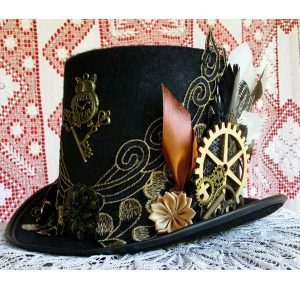 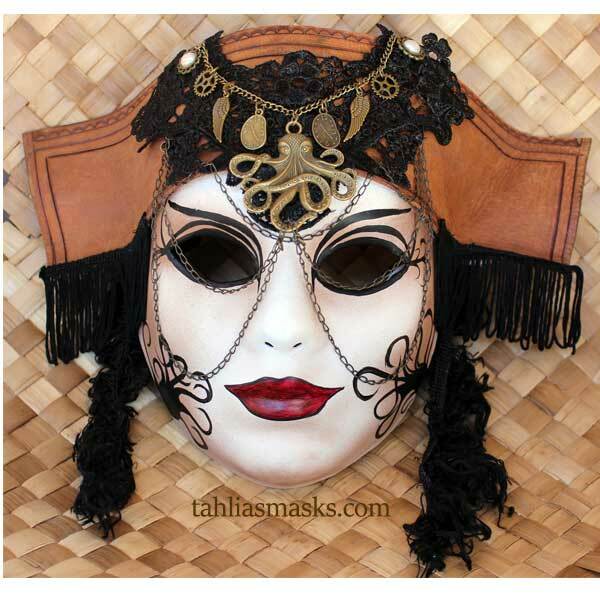 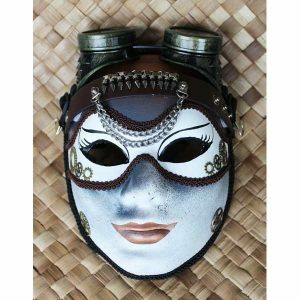 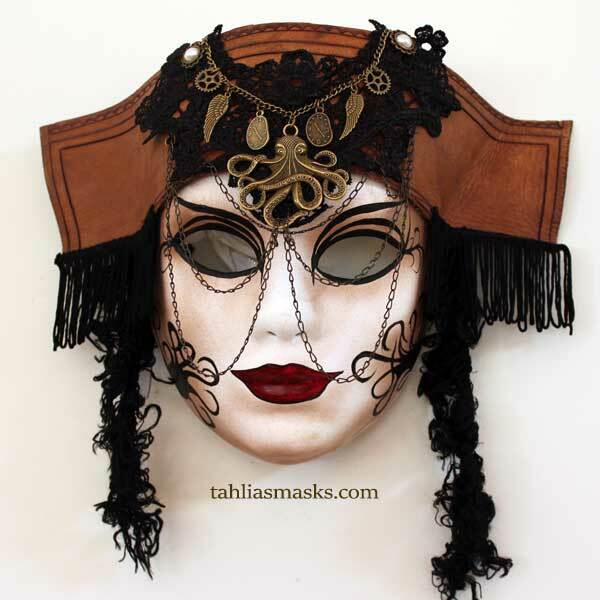 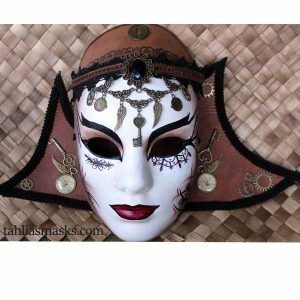 This steampunk artisan wall mask has a leather hat decorated with soft fringing and a necklace you can remove and wear. 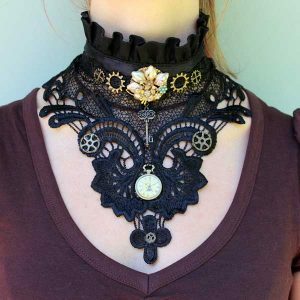 Made from Papier mache, leather, lace and brass charms.